According to Maine boating laws, it’s unlawful to operate a watercraft or negligently permit another to operate one while under the influence of alcohol or drugs. Such reckless behavior puts boaters at increased risk for capsizing, collision, falls overboard, sinking, and other potentially fatal accidents. Unfortunately, Mainers – who rank among our nation’s most avid boaters – do not always abide by local rules, putting innocent lives in harm’s way. 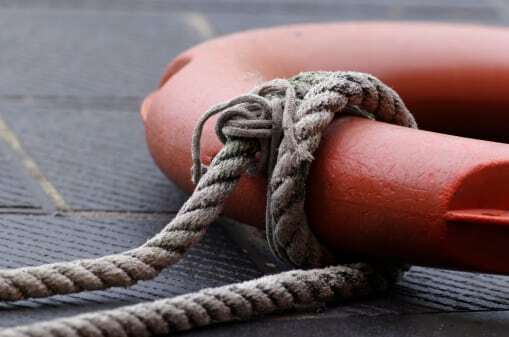 When the unthinkable happens, and you lose a loved one or are seriously harmed by another’s negligence on New England’s waterways, you need the assistance of experienced Maine boating accident lawyers at Hardy, Wolf & Downing. Over the past decade, our Maine accident lawyers have successfully litigated claims involving marina accidents, drunken boaters, fishing incidents, and injuries sustained on both private and chartered watercraft. One look at recent headlines reveals a grim streak of boating accidents and deaths in our state’s inviting lakes, rivers and inlets. Just last month, Maine Warden divers found the body of a 19-year old boy – Jacob Caldwell – who drowned after his boat capsized on Echo Lake. Caldwell and two of his friends were cruising the lake in a 17-foot canoe when the watercraft flipped over, sending all three men in the water. Two of the boaters, both of Presque Isle, managed to swim back to shore, but Caldwell wasn’t so lucky. According to the Maine Warden Service, the teenager had alcohol in his system, which likely contributed to his drowning. Now authorities have issued a summons for Stephen Davenport, also from Presque Isle, for allegedly furnishing liquor to the minor. “The furnishing or allowing charge is a Class C crime, as it did cause the death of Jacob Caldwell,” said Alan Dudley of the Maine Warden Service. It is possible that additional criminal charges will be brought in the case. Local legislature stipulates that individuals who operate a watercraft with a blood alcohol level of 0.08% or more may face a criminal violation conviction. In this situation, Davenport may be held partially responsible for the wrongful death of the teenager by permitting the 19-year-old to consume liquor. Many victims of watercraft accidents turn to the courts when drunk operators or negligence is a clear and overriding factor. In order to recover damages, your claim should first be evaluated by a ME boat injury attorney who can determine liability and gather compelling evidence. At Hardy, Wolf and Downing, we are well-versed in Maine boating laws and navigation rules and are committed to holding negligent parties accountable for their actions. For more information about filing a personal injury or wrongful death lawsuit, please contact our Maine accident attorneys today to schedule a free consultation. We understand just how catastrophic a boating accident or drowning can be, and offer our clients outstanding legal representation.